The ultimate goal is to introduce these adaptations into important plants like wheat, rice and soybeans – and feed a world that's only becoming hungrier. Scientists believe they can increase crop productivity by 40% by making plants better at photosynthesis. 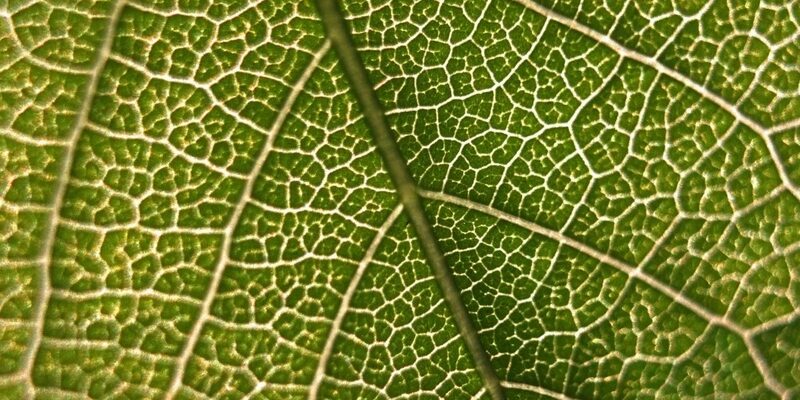 During photosynthesis, plants take in carbon dioxide from the atmosphere and ‘fix’ it into useful sugars with the help of a protein called RuBisCO. In essence, this protein has the tough task of kick-starting photosynthesis – and it often makes mistakes. RuBisCO sometimes grabs oxygen instead of carbon dioxide molecules, creating a toxic compound inside the plant called a glycolate. The plant then tries to rescue the situation and flushes the carbon dioxide it has back out into the atmosphere. This process is called photorespiration. It’s inefficient because the plant produces less energy in the same amount of time. It’s wasteful because it loses carbon dioxide as well as some energy. Some plants have found workarounds. Those growing in hot, dry conditions have evolved adaptations that preclude photorespiration. Others ‘inhale’ carbon dioxide at night and process it during the day. However, agriculturally important plants like wheat, rice and soybeans don’t possess these adaptations. And photorespiration reduces photosynthetic efficiency in these plants by 20-50%, especially in a warming, crowded planet. What do we do? Whatever we do, we need to replicate the global Green Revolution of 1960-2005, when food production increased by 165%. “Those traits that drove the Green Revolution are largely maximised. So if we need to double it again, we are going to have to find new traits on which to do it,” Donald Ort, a professor at the University of Illinois, Urbana, told The Wire. Studies in the past (e.g. this and this) have shown that bypassing the series of reactions – a.k.a. pathway – that leads to photorespiration can increase the plant’s total mass. Ort and his peers from the US Department of Agriculture built on this work and tested three alternative pathways in the tobacco plant. They picked tobacco for multiple reasons. The relevant ones are that the genome of the tobacco plant has been completely sequenced. Second, scientists are familiar with how the plant responds when foreign genes are introduced in its DNA. Paul South, of the USDA and another member of the team, likened the traditional photorespiratory pathway to a “country road” – where it takes quite a lot of time to get from one place to another. Instead, he said they were trying to create a shortcut for the plant to deal with RuBisCO’s mistakes better. They started out with three candidates. In each candidate pathway, the group isolated genes from a foreign body and inserted them into the DNA of the tobacco plant. In the next step, they introduced each of these pathways with and without a gene-regulating mechanism called RNA interference, which stops glycolate molecules from being chucked out. If RNA interference is at work, then glycolate moves out through the alternative, more efficient pathway instead of the original route. They also tested the pathways in laboratory and field settings. In pathway 1, the researchers used genes from Escherichia coli bacteria, and the plant’s biomass increased by 13%. In pathway 2, the genes came from green algae, and tobacco plants’ biomass didn’t increase. Things got interesting with pathway 3, where the genes came from other plants, such as pumpkin and rockcress. In the lab and without RNA interference, the plants’ biomass increased by 18%; with RNA interference, biomass increased by 24%. In the field, the biomass increased by over 25% sans RNA interference and by over 40% with. Even more importantly, Ort and co. found that the plants’ photosynthesis efficiency also increased by 17%. This was surprising – but not inexplicable. “We believe this is due to the ‘compound interest’ of having a larger plant earlier in the plant’s life cycle,” Ort said. Nonetheless, the results were impressive – more so since there are few other ways to the top of a plant’s efficiency mountain. For example, the simplest way to fix the photorespiration problem would’ve been to tweak RuBisCO itself, and reduce its mistakes rate. However, we don’t know how to achieve this. “That has certainly been the ‘holy grail’ of photosynthesis engineering but to date, despite many attempts, this approach has not been successful,” Ort said. Veronica Maurino, an interim professor at the University of Cologne, Cologne, doesn’t think new technologies will help either. “This is an intrinsic property of the enzyme that can hardly be engineered,” she said. Experts agree engineering synthetic pathways is the way to go. One of them, Xinguang Zhu, is professor at the Chinese Academy of Sciences, Beijing. He feels “there is a lot of potential to test various photorespiratory bypass pathways in crops.” Zhu wasn’t part of Ort’s study. A 40% increase in productivity isn’t to be sneezed at either. Traditionally, according to Zhu, scientists have seen jumps of only 2-5%. “If this increase in biomass can be realised in major crops, it will lead to major change – in some sense, a revolutionary change” in the way crops are bred, he said. But he also checks his optimism. We can’t just go out there and start engineering plants without making sure the synthetic pathways won’t ‘escape’ into the wild. Maurino recommends that Ort and co. test their techniques in other plant species, as well as on seeds, roots and fruits. “It’s possible that the metabolism of particular compounds produced by a given plant species” could lead to undesirable changes. Ort agrees. While alternative photorespiratory pathways have been tested in the field under various conditions, they haven’t been under all conditions relevant to agriculture. “The thing about unforeseen interactions is that they are unforeseen,” he says wryly. As a next step, the researchers are going to work these pathways into crop plants like rice, potato and soybeans and see if the results are consistent. The study was published in the journal Science on January 4, 2019. 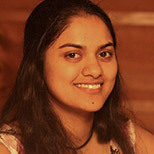 Rashmi Bhat is a wildlife researcher with an overarching interest in applied conservation biology. She is based in Bengaluru, India.